Divorce is causally related to a significant increase in risk for development of alcohol use disorders, according to a new study conducted by researchers at Virginia Commonwealth University and Lund University in Sweden. The study, titled "Divorce and the Onset of Alcohol Use Disorder: A Swedish Population-Based Longitudinal Cohort and Co-Relative Study," was published in the American Journal of Psychiatry on Jan. 20. It found strong causal associations between divorce and the subsequent onset of alcohol use disorder, with the rates of the first onset of alcohol use disorder increasing after divorce around sixfold in men and more than sevenfold in women. "The study shows that interpersonal relationships can have a profound influence on risk for alcohol use disorder," said first author Kenneth S. Kendler, M.D., professor of psychiatry and human and molecular genetics in the Department of Psychiatry, VCU School of Medicine. "Social factors are really important." The study is an extension of a study that the same research team published in the American Journal of Psychiatry in May, which showed that marriage is causally related to a significant reduction in risk for development of alcohol use disorders. That study found that marriage might help protect against alcohol use problems. As with the prior study, the study on alcohol use disorder and divorce found that the cause for increased risk of developing alcohol use disorder after a marriage dissolves can be definitively tied to the loss of the protective elements of marriage. "Married partners tend to look out for each other and reduce dangerous behaviors like smoking and drinking," Kendler said. "It is not the stress of the divorce that is predominantly causing the increased risk of developing alcohol use disorder. It is the loss of the protective elements of marriage." The research team published a study in the journal Addiction in December, which explored the genetic and environmental factors that account for the correlation between alcohol use disorder and divorce. 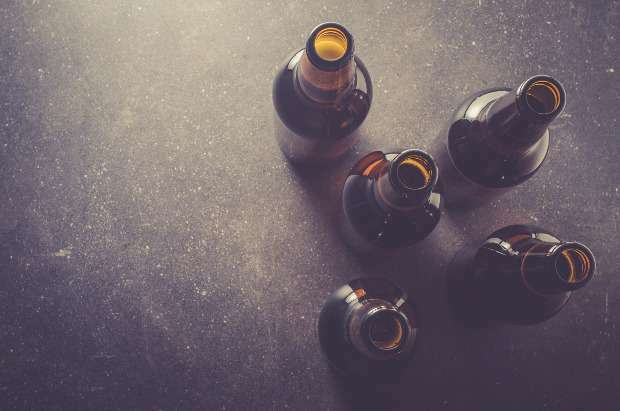 The more recent study is a complementary analysis of the study published in May, showing that spousal loss through divorce is associated with a large and enduring increase in risk for alcohol use disorder. The study was based on a population-based Swedish sample of 942,366 married individuals born between 1960 and 1990 who were married and residing with their spouse in or after 1990 and had no personal history of alcoholism prior to marriage. The correlative design of the study supported the conclusion of the causal effect of divorce on the development of alcoholism. "This important work by Dr. Kendler and his team has far-reaching implications and is from a longstanding and highly productive international collaboration," said Peter F. Buckley, M.D., dean of the VCU School of Medicine. The results could help in the development of effective social treatments to combat the disease. "If a person is about to get a divorce, you could spend a lot of time tuning their medication, but if you could preserve the marriage you would likely have a stronger affect in preventing alcohol use disorder," Kendler said. "We have put the causal effect of divorce on alcohol use disorder development on firm scientific basis." The research team is currently engaged in a follow-up study that examines how having children impacts the development of alcohol use disorders. "We are still digging away at this rich and informative line of research," Kendler said.